1. 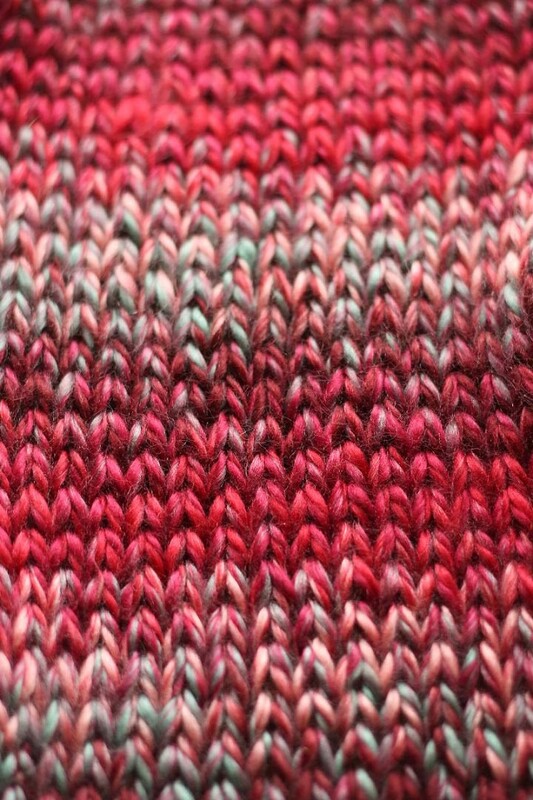 First up, the knitting part of this hybrid scarf. 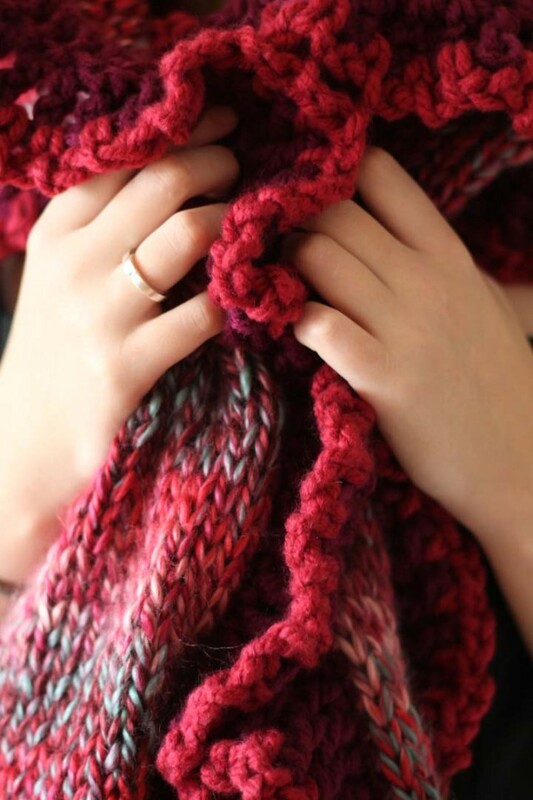 Cast on 20 stitches, and knit back and forth in stockinette stitch (knit one row, purl one row) until you run out of yarn, or until your scarf is about 150cm/60″ long. Bind off. 2. 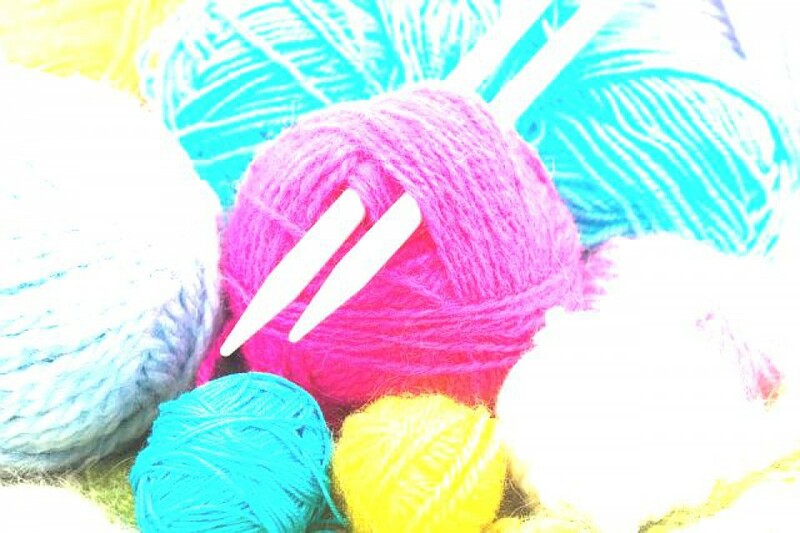 Grab your crochet hook and the purple yarn. We’re now going around the entire knit piece in single crochet stitches. 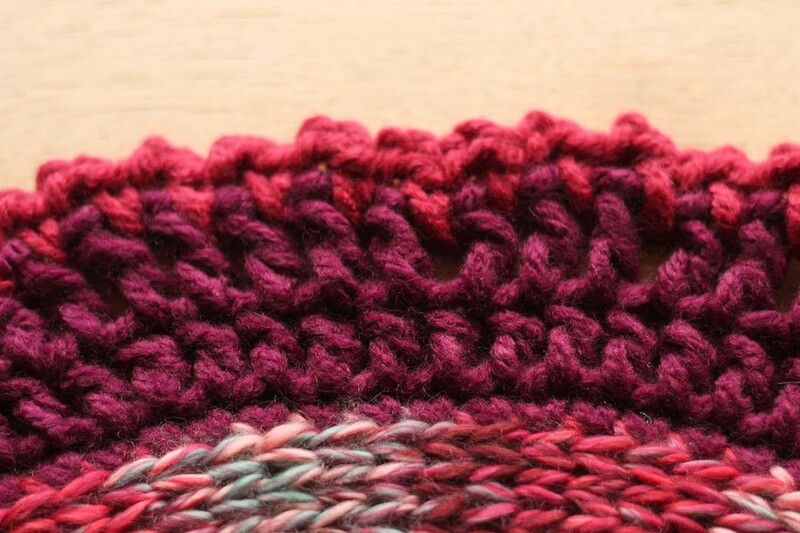 Join your yarn, and work one sc in each of the ‘v’s on the edge of the knit piece. 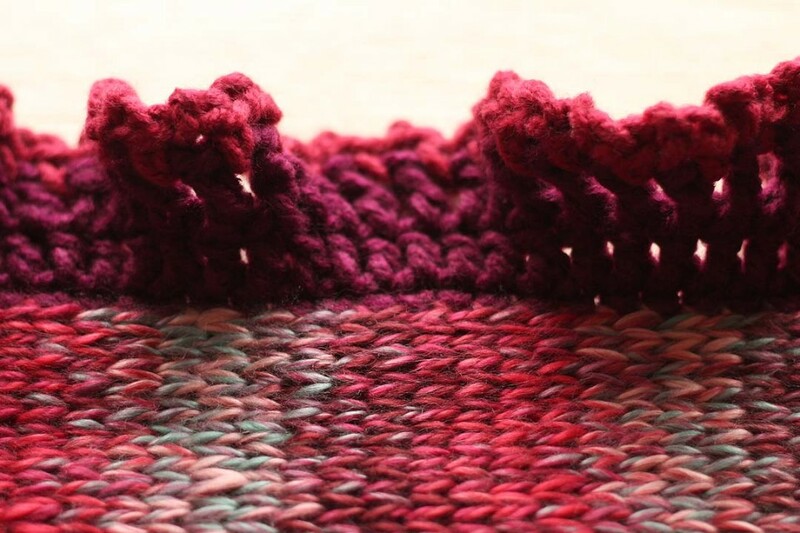 Join with a slip stitch to the first stitch. 5. 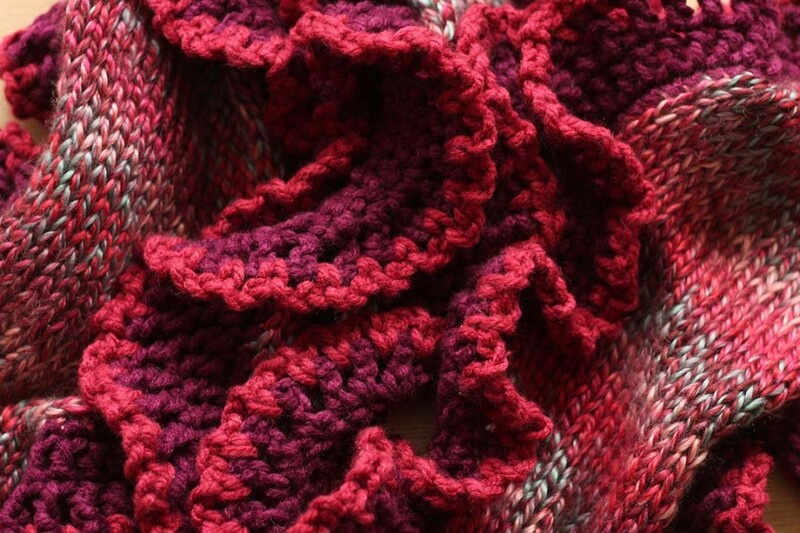 Join your red yarn, and work *1sc, ch2* into each chain 1 space from the previous round. 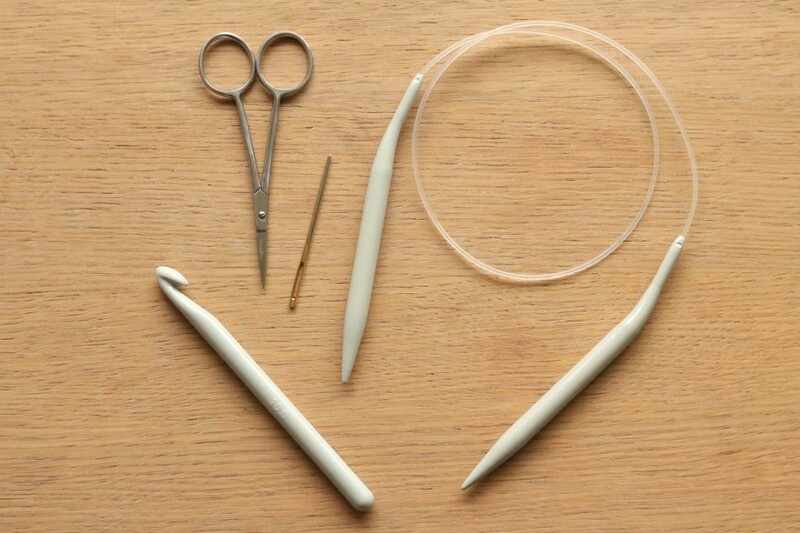 Finish off and sew in the ends with your darning needle. And that’s it! 🙂 This scarf works up in one weekend, because of the chunky yarn and big needles/hook you use. 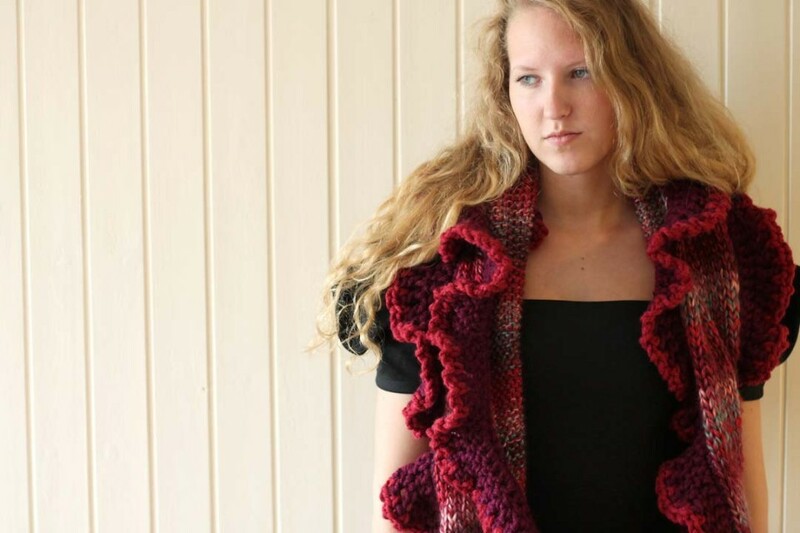 It’s very warm and cozy, and you can use it casual or when you want to dress up!